Move over, NES Classic. People asked for it, we asked for it. Nintendo is now delivering. Let's just hope it comes in enough quantities, knowing how the company's launches tend to go. Nintendo has just announced the Super Nintendo Classic will be out next September 29 for $79.99. 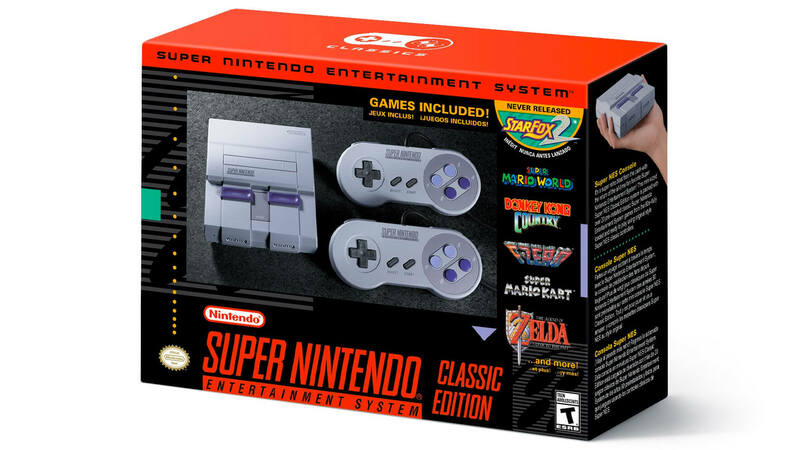 The console will come packing two SNES wired controllers and 21 games including Super Mario World, Donkey Kong Country, Mega Man X, Final Fantasy III, and the previously unreleased Star Fox 2. The full list is right below. As you know the NES Classic Edition was discontinued earlier this year, but not for lack of interest or demand. Nintendo has said that the popular mini console was never intended to be a permanent product, and perhaps the decision to create a follow up Classic console was the plan all along. Nintendo has also admitted misjudging how many people would actual buy the NES Classic. We hope the company doesn't make the same mistake again.